Everyone say “Hi!” to a task switching app that we’ve been following from day one, Clutch Pad. Actually, we saw the first pre-alpha of this before it even had a name and basically had one function, so to see that it has grown into an extremely polished task/favorite app-switching beast, brings a giant smile to our faces. Made by Steve Albright, whom you may know as one of the themers behind xScope, Clutch Pad has become a standard on all of my devices. This is a great choice for those of you not interested in having another space hog on one of your home screens, but want control from everywhere. Surface button: The driver behind CP is the surface button which you can see in the left side of all of my screenshots above. It’s that little half circle attached to the left wall about halfway up. You can tap on it, swipe in various directions on it, and even long press on it to make it complete tasks. 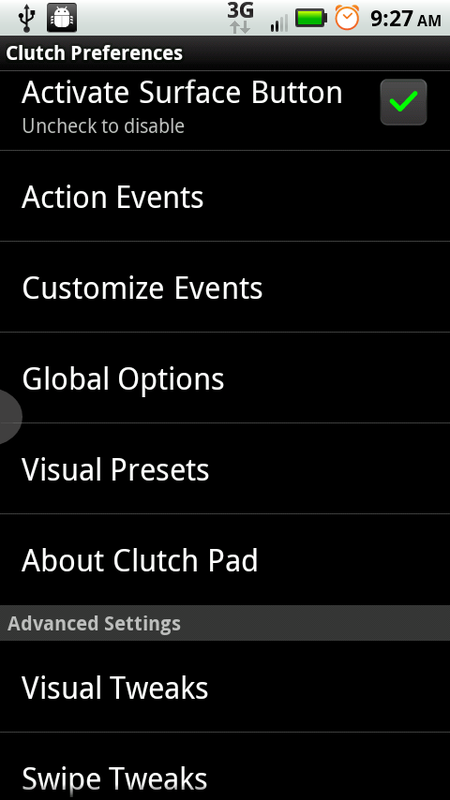 Events: These are the tasks you want to accomplish while using Clutch Pad. If you want to bring up your favorite apps, you can set up a “swipe left” on it. If you want to tap on the surface button to bring up all recent tasks, that’s another event. Stuck in your browser and want your app tray? 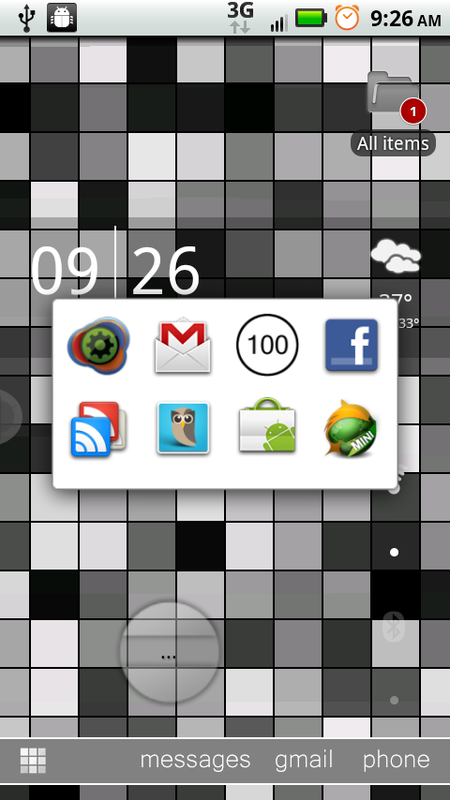 Then set up a down swipe that will bring up your home launcher. Visual tweaks: You can place the surface button wherever you’d like, customize the look of it entirely, and even change the color of it. It’s hard to really describe how impressive this app has become, so really, I’ll just suggest you at least give it a try. It’s sort of like Swipepad meets CircleLauncher, but in a sleaker and sneaker fashion. Thursday Poll: Does MotoBlur affect your decision to buy a Motorola device?